Desiray Sweeney. (Photo courtesy of Desiray Sweeney). This new school year, there are a lot of familiar faces on campus and new students, too, including a significant portion that are transfers from other four-year and community colleges. This year, McDaniel welcomed 416 freshman and 55 transfers, which totaled 471 new students. The number of transfers vary from year to year, and from where they arrive. They are thrust into a new environment, which can take time to get used to. A key factor to help these transfers are peer mentors. Desiray Sweeney is a junior who works as a peer mentor. Before being a peer mentor, she was a transfer herself just last year. She came to McDaniel as a sophomore after attending Frederick Community College. Frederick Community College served as a tool for her to prepare and, after a year, she transferred to McDaniel. She decided to become a peer mentor to share her experience and help others settle into college, which can be a difficult process. 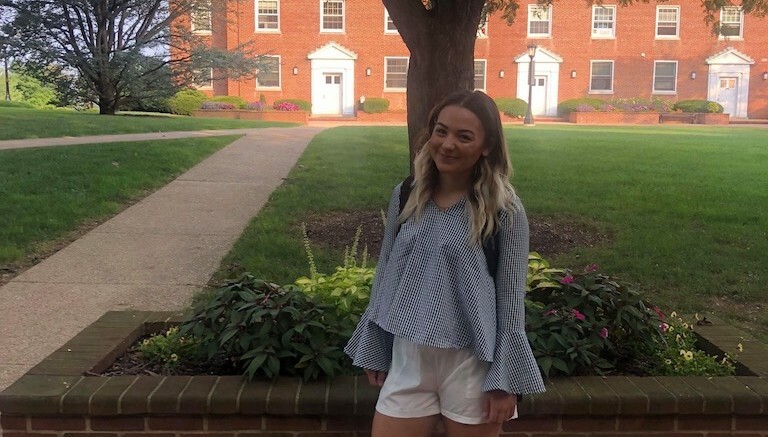 Sweeney was very lonely her first year at McDaniel and regretted not participating in activities because she felt like she was dropped into the middle of something. She wants to inspire transfers to enjoy McDaniel and help them find their place. A fellow peer mentor, Logan Clough, described Sweeney as a ray of sunshine. Abigail Hayden, a mentee of Sweeney, thinks of her as a crucial resource.